When the 2019 Ford Ranger’s U.S.-spec model was finally revealed, only one engine was announced to go with it, a gasoline turbocharged 2.3-liter four-cylinder derived from the same engine in the Mustang EcoBoost and Focus RS. We certainly have can’t complain about the engine, especially having not experienced it in the new truck yet, but Ranger fans might’ve been surprised to see that no diesel engines were announced. Imagine our interest, then, when we saw these spy photos of a diesel-powered Ranger testing in Michigan. The Ranger seen above is surely a diesel. In an obvious sign, the fuel filler flap has a piece of tape stuck to it with the word “diesel” written on it. The spy photographer also reports seeing a bit of black smoke coming out on a stone-cold startup in our chilly Michigan winter. With that established, there are a couple of clues making us wonder if this diesel Ranger is for us, the first of course being that it’s testing here in America. But the second is that this Ranger bears styling cues closer to the new Stateside version than the overseas variant. The grille has the split center bar like that of other American Rangers, along with small square LED foglights. Now as for what diesel engine it could be, w’re thinking about the 3.2-liter inline-5. In its foreign-market form, the oil burner makes 185 horsepower and 350 pound-feet of torque, which puts it right inline with the Chevy Colorado’s diesel engine output. But potentially more importantly, the engine is already available in the U.S. in the Ford Transit, meaning that much of the work to make it legal here is already done. On the subject of styling, it also appears that this truck is equipped like an overseas Ranger Wildtrak, which is pictured above. It has the sport fairing over the bed and roof rails on the cab that come on that trim. It also seems to have a bit more ground clearance than a standard Ranger. Considering that this truck appears to have been tweaked to fit the American lineup, we have to wonder whether the Wildtrak trim may also be available soon, as sort of a competitor to the Colorado Z71 and Tacoma TRD Off-Road models, but leaving plenty of room for the upcoming Ranger Raptor. Of course, Ford could just be testing Ranger models and powertrains here in the United States that will never be sold here. In any case, check out the images above and let us know what you think. 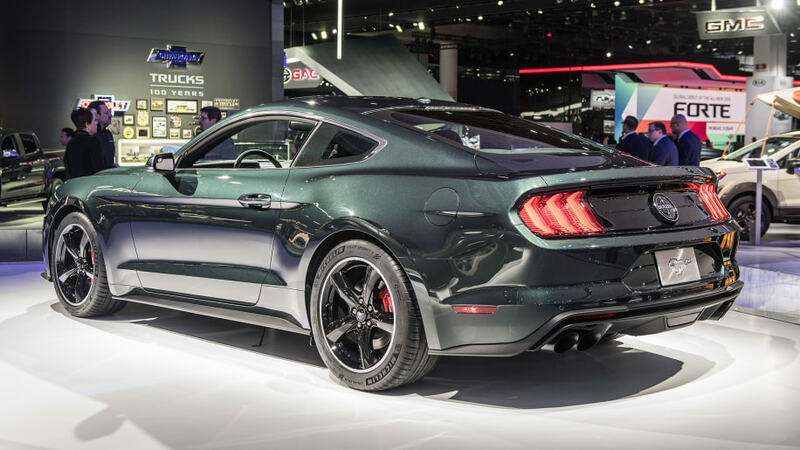 Ford has opened order books for the 2019 Mustang Bullitt and confirmed final output for the commemorative-edition GT fastback at 480 horsepower and 420 pound-feet of torque. Ford also confirms starting pricing, which is $47,495, including a $900 destination and delivery fee. Deliveries are expected in late summer. 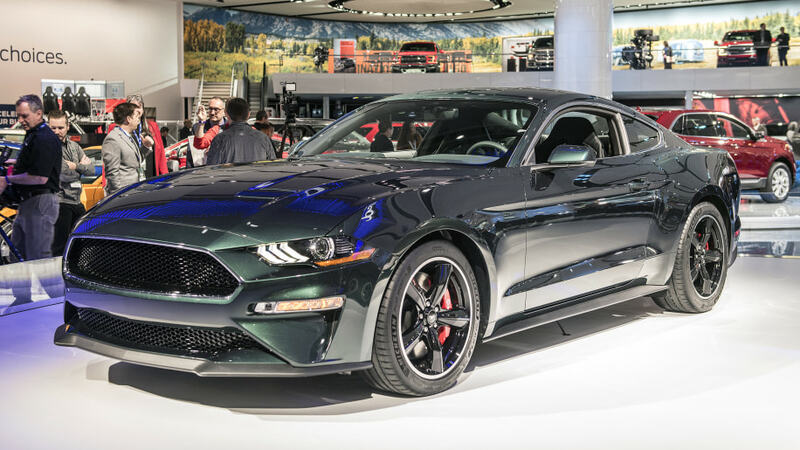 Ford had previously said the 5.0-liter V8 would make “at least” 475 hp, so the final figure makes good on that and offers 20 more ponies than the 2018 Mustang GT, thanks to a Shelby GT350 intake manifold, 87-mm throttle body and engine tuning. 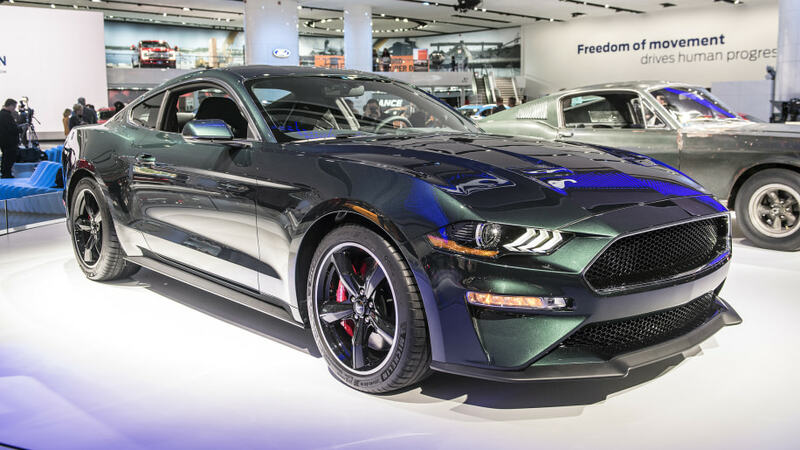 It also boasts a top speed of 163 miles per hour, unchanged from previous projections but an 8 mph improvement over the standard Mustang GT. By now, you probably are well-versed in the background story behind this car, which commemorates the 50th anniversary of the 1968 film “Bullitt” and the battered 1968 Mustang GT that Steve McQueen drove in it. 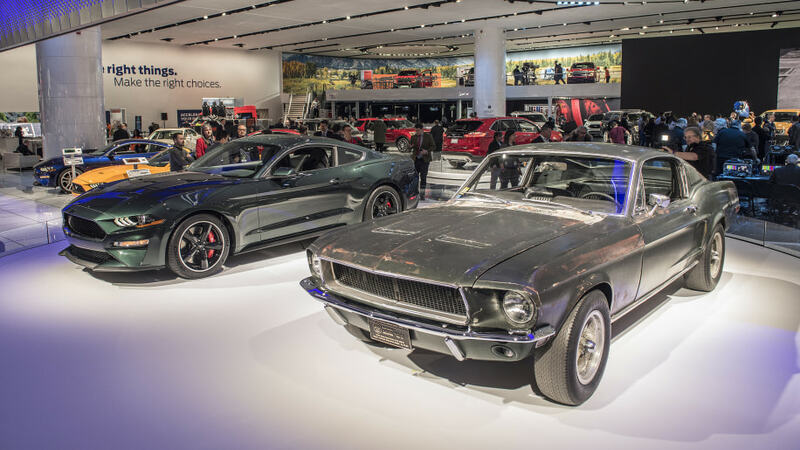 And you probably recall that Ford showed the 2019 version and the 1968 stunt car from the film side-by-side at the Detroit Auto Show in January. It’s basically impossible to top the coolness of the original, but the 2019 version did make Autoblog’s list of NAIAS faves. 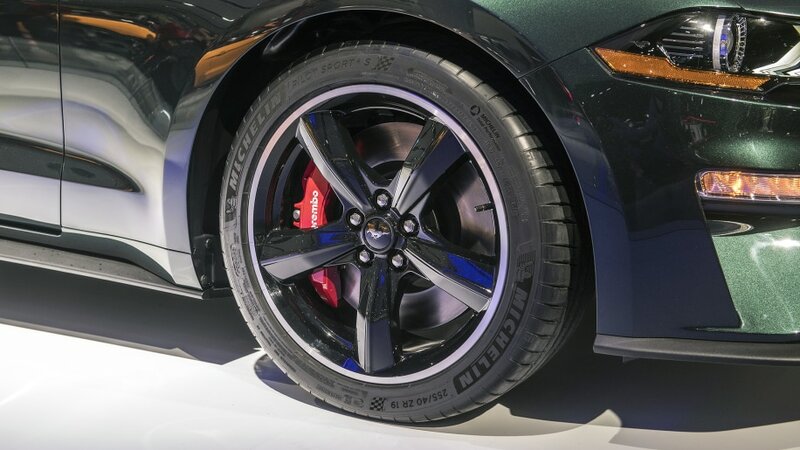 It adds several features that were previously options on the Mustang GT, including active exhaust, a performance package that includes red Brembo front brakes, suspension and chassis upgrades and a limited-slip differential, and 19-inch aluminum wheels. It even gets an increasingly rare manual transmission (there’s no automatic option), complete with a white cueball knob shifter. A black NitroPlate quad-tip exhaust is standard. Customers will be able to choose between shadow black and the classic dark highland green, as shown in Detroit. Badging is limited to the faux gas-cap Bullitt logo centered on the rear. 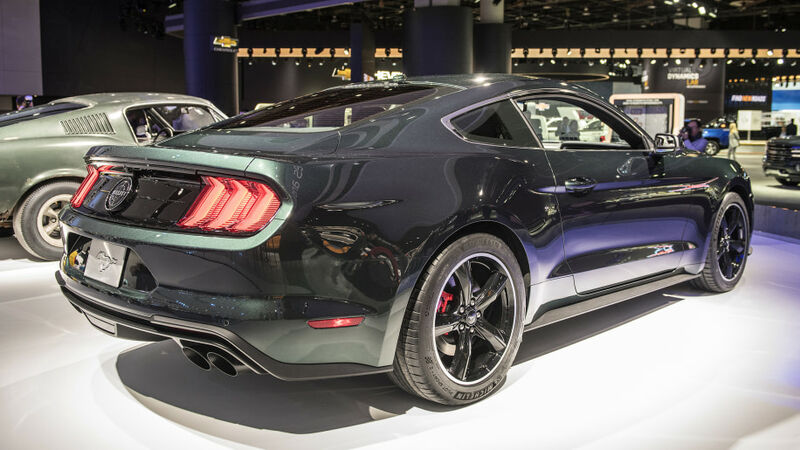 The starting price compares with a $35,190 starting MSRP for the 2018 Mustang GT. Ford, sensing rising demand for high-end trucks, on Thursday unveiled its new Super Duty Limited trim for its F-Series trucks, marrying luxury-segment features such as heated two-tone leather seats and finished wood trim to its workingman line of heavy-duty pickups. Ford says its new F-450 Limited can tow more than 30,000 pounds, near the weight of an Air Force F-35 fighter plane or a motor home RV, yet it “delivers technology and comfort previously reserved only in premium flagship sedans.” The company said more than half of retail sales of its Super Duty lineup so far in 2017 have been high-end model like the Lariat, King Ranch and Platinum series. Inside the cab, Super Duty Limited gets you custom Camelback two-tone leather seats, stitched leather-wrapped steering wheel, armrests and instrument panel, a suede headliner and hand-finished dark ash trim. The exterior brings a twin-bar satin grille with chrome accents, quad-beam LED lights and satin-finished tailgate appliqué. A further perk is the VIN number laser-etched on the center console armrest. Standard features include high-definition 360-degree camera, SYNC 3 entertainment system and adaptive cruise control and steering. Prices for the Super Duty Limited start at around $80,000 for the F-250 4×4 and top out around $94,455 for full options. Ford says a crew cab version fitted with a 6.7-liter Power Stroke diesel V8 will arrive this winter. You can read our first-drive review of the 2017 Super Duty pickup here. 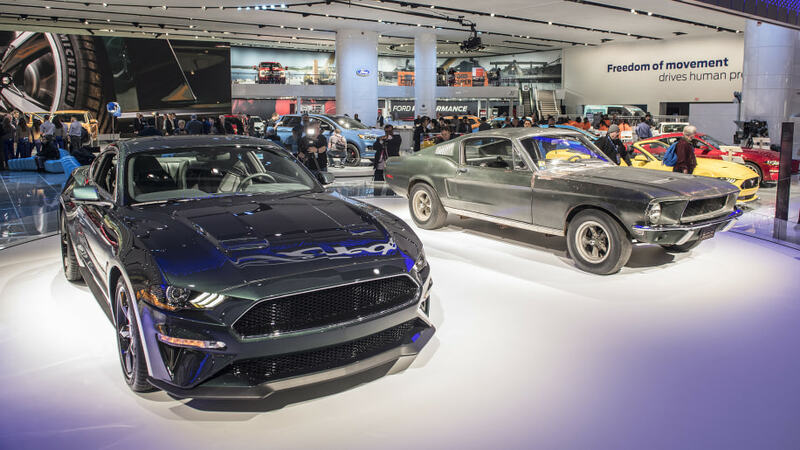 Ford Chief Executive Jim Hackett said on Thursday the automaker is reviewing its product portfolio as consumers show a preference for sport utility vehicles that have fuel efficiencies closer to sedans. The automaker is conducting an annual review of its product portfolio against that backdrop, he said, but did not address specifics. 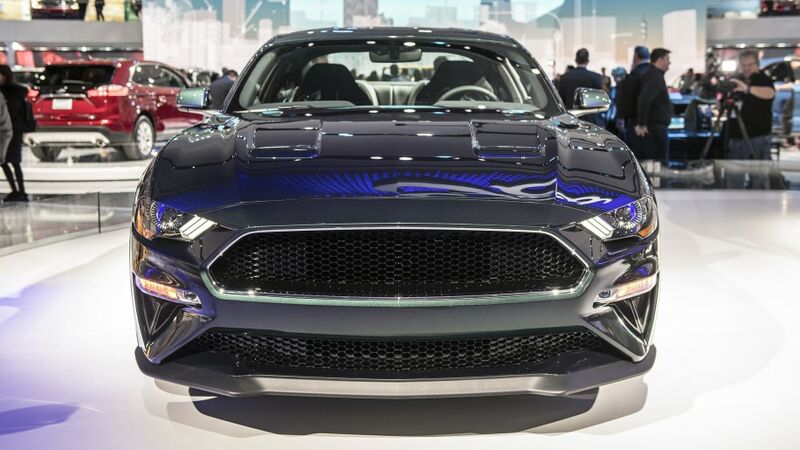 Ford has signaled a plan to stop producing mid-size Fusion sedans for North America at a plant in Mexico and shift Fusion production to China, people familiar with Ford’s communications with suppliers told Reuters on Wednesday. Ford had previously announced plans to shift production of its Focus cars to China from Mexico. Separately, Ford also said on Thursday it would relocate its autonomous and electric vehicle units to Detroit from Dearborn, Michigan. “The relocation brings together Ford teams that are creating new business models in a resurgent, diverse neighborhood with industrial roots,” Ford said. The company said the new facility located in the Corktown neighborhood would be up and running early next year. The team in Corktown will be led by Sherif Marakby, Ford’s vice president of autonomous vehicles and electrification. The company will begin testing its latest self-driving vehicle technology next year. If you’ve always wanted line-lock in your EcoBoost Mustang so it could turn tread into smoke just like its V8-powered GT stablemates, we have great news: Ford’s made it happen. Well, for 2018 at least. Even better news is that it’ll be standard in all Mustangs, period. That means you don’t have to buy a higher trim or a special performance package to get it. Neither will you be limited by transmission choice. Both the 10-speed auto and the 6-speed manual will come so equipped. The system is activated through the instrument cluster menu using steering wheel controls. After it locks up the front brakes, you’ve got 15 seconds to vaporize some rubber before the system deactivates. Is this something that EcoBoost owners have been signing petitions about? We don’t have the data about customer preferences here, but our take is that this has more to do with normalizing the Ecoboost ‘Stang as a legitimate V8 alternative than to satisfy a hyper-vocal owner subset. Ford wants the EcoBoost to succeed quite badly. It’s a good standard-bearer for Ford’s EcoBoost program in general, it’s good for the company’s CAFE numbers, and it’s probably good for the younger buyers Ford wants to attract. In other news, the available digital instrument cluster, which is a very cool piece of kit, now includes a little animation of a Mustang burning rubber when you activate the line-lock function. This may tip wafflers over the edge, right? Right. 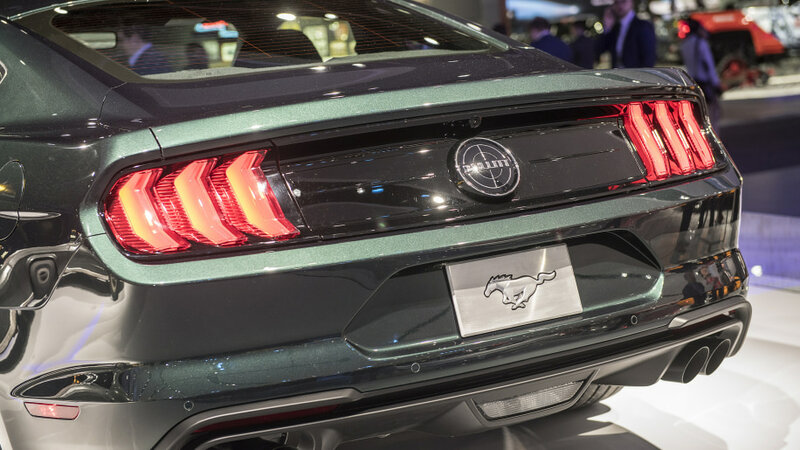 You’ll see line-lock on new Mustangs at your Portland Ford dealer later this year. Unfortunately it doesn’t look like Ford will offer retrofit kits for older EcoBoost cars at this time.